Domaine du Vieux Telegraphe is located on La Crau plateau, south-east of Chateauneuf-du-Pape appellation. The 70-hectare vineyard yield split includes 65 hectares for reds wine and 5 hectares for whites. 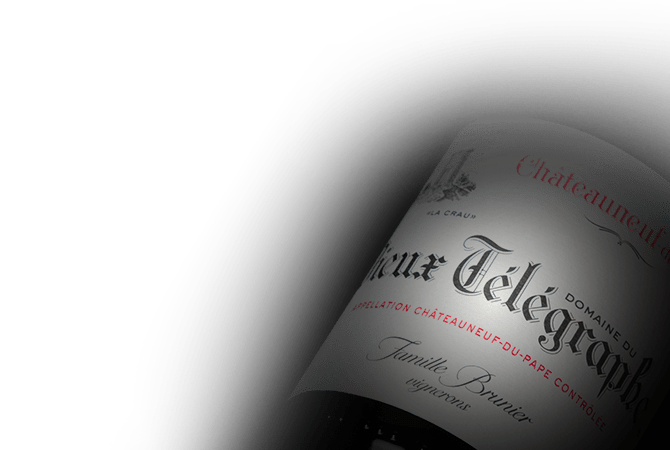 The domain produces on four wines: Le Vieux Telegraphe (red and white) from the oldest vines and more complex vintages; along with the Second Wine: Le Telegramme (red and white). The Brunier family has been releasing rare wines for over a century. Natural challenges -terroir, soil, Mistral, cool temperatures, and heatwaves- contribute to the creation of unique wines with unmatched mineral character and keep potential.